Most business owners have the very basic business strategy of growing their company, but a marketing strategy tells you a bit more than that. It defines who you are, what you want to become, what you will offer to your target audience. It’s the essence and foundation of everything about your company. Let’s look at two discount retail stores to illustrate how their marketing strategy defines who they are and where they are going. The two stores are Target and Walmart. Both are discount stores, both carry similar merchandise but they cater to two different customers. Target, whose customers have an average household income of $64,000, is known for carrying discount designer clothes and home décor as well as household items and in some stores food. Walmart, whose customers’ average household income, ranges between $30-$60,000, focuses on the lowest prices and stocking basic clothes and household items. The big reason we see similar companies with similar products but strikingly different marketing strategies is that two companies cannot hold the same market position in the mind of the consumer. Marketing involves what is referred to as the 4Ps the price, product, promotion and distribution of a product or service. Your marketing strategy will drive the tactical aspect of each marketing function. With a sound foundation of a clear, written marketing strategy all of your other efforts will fall short. Everything your company does should be measured against your marketing strategy. 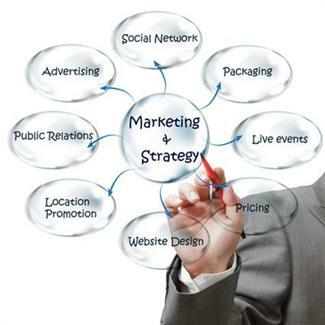 A company’s tactical tools such as a Website, logo and marketing materials are the result of their marketing strategy. A poor or no strategy yields a poor Website. Today, some refer to their marketing strategy as a "brand strategy". Over the years, the term "marketing" as been misunderstood and misused by many people. Many people think of the term "marketing" as only advertising, others think marketing and sales are synonyms. The phrase "branding" or "brand strategy" which was developed in the mid 1980's, seems to be a common trend among advertising agencies and graphic design firms. However, even the phrase "branding" has been misused and to some people it means the look and color of your logo without an in-depth analysis of what your product or service represents or how it's placed in the mind of the consumer. •Is your marketing strategy written down? •Does everyone in your company know what it is? •How long has it been before you measured your current position against your marketing strategy? •Have you done research to determine your true target audience? If you did, how long ago? •Do you have written processes and procedures for each of your marketing tactics? •How often do you review your marketing strategy? If you don't know the answers to most of these questions, we need to talk. Chances are you are not getting the leads, sales and profit you need with your current system. 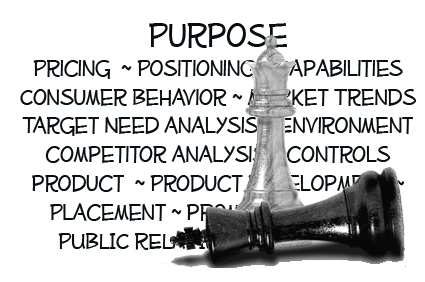 Let us take a look at your strategy with a marketing assessment. ePlus Marketing can help you assess your current strategy or help build a strategy for you. It’s the first step prior to creating a Website, social media, email campaign or video.